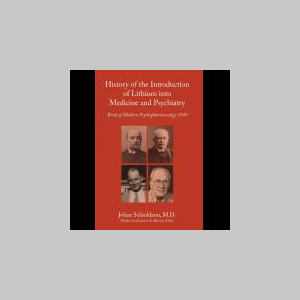 Professor Schioldann’s research areas have included psychopathological art, pathography, medical historical bibliography, history of lithium therapy, and August Wimmer’s epochal concept of psychogenic psychoses. Schioldann’s DMSc thesis (Odense University 1983) examined the manic-depressive illness of D. G. Monrad, Prime Minister of Denmark during the Danish-German War 1864, in which she lost Schleswig-Holstein and Lauenburg, i.e. two fifths of her territory, and one third of her population.